Are glass cannon scouts viable? 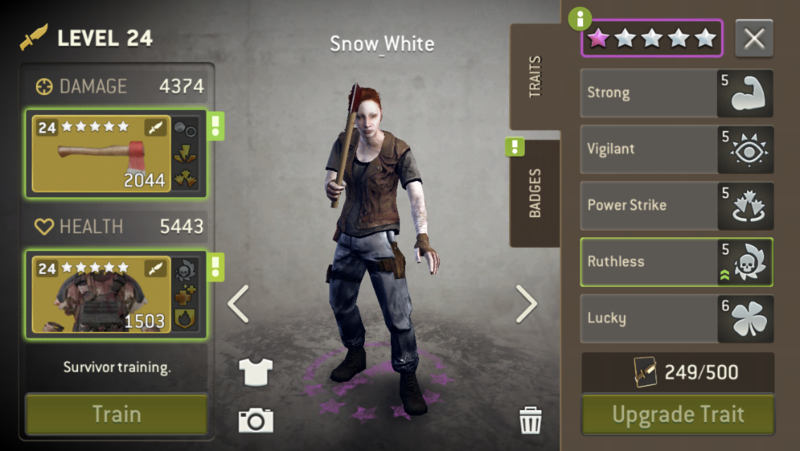 Just curious if anyone has built (and succeeded) with a 100% offensive scout. My thoughts are one with skills Lucky/Strong/Ruthless/Powerstrike/(5th whatever) and badges of Damage/Crit Damage/Crit Chance. Basically if they get hit once they're dead. Wondering anyone has had success with this and if so how did they use them, or no, this plan is a lost cause. That'd be me. What I do is, my Michonne and any other meele team member has dr and health badges and they are for taking damage, scout is being hidden from being hit. Others get walkers bruised so scout can finish them off and get swift strike. Works on 36 pretty well most of the times. Holy crap! I want those badges @Bladgier :-) But yeah, sounds like my plan, glad to hear it works. I was just planning on using a spear as a weapon so I can stay behind my tanks. 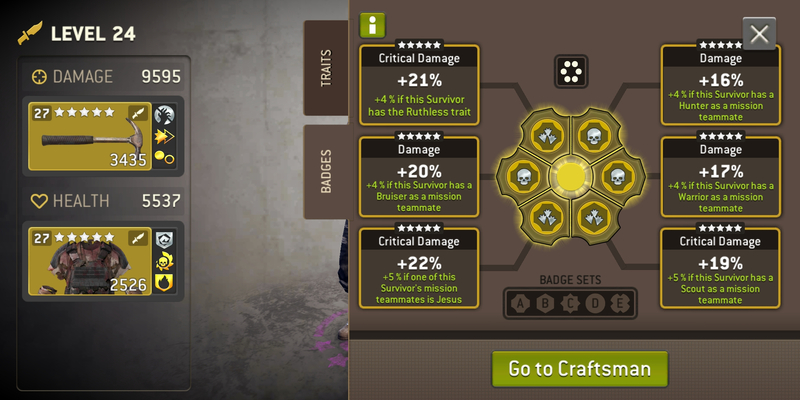 Ever consider using a crit chance badge? Yes works fine as long he does not get touched. Always have a bruiser or warrior for the hits close by. This is the perfect Pike/Pitchfork specialist Scout. 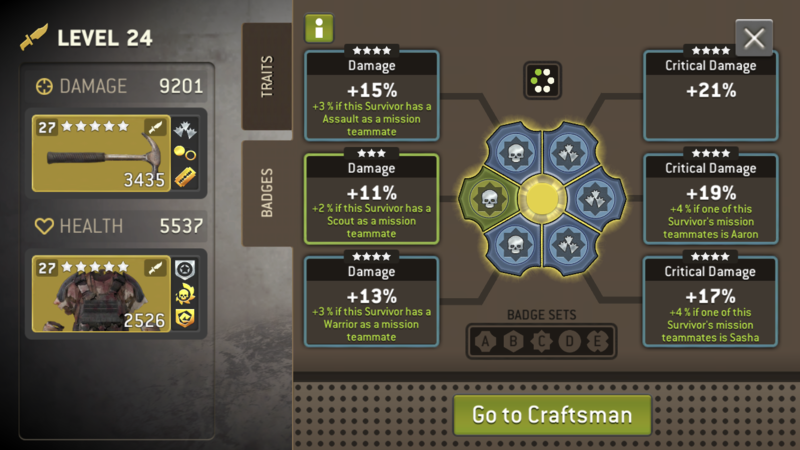 Badge with 3x Damage + 3x Critical Damage. 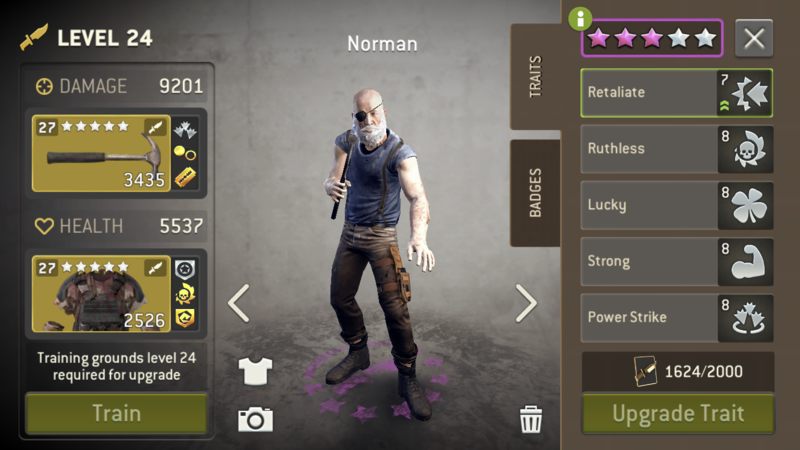 I think Scout Rick will fit this build perfectly, especially as his 4 traits are the ones you mentioned and his leader trait sounds awesome. Spear would make it easier but just make sure that your glass cannon scout attacks from a diagonal. I plan to use every single radio I get for the foreseeable future on him and badge him up like the others in this thread. It may take me some time to get a badge set as good as @Bladgier though!